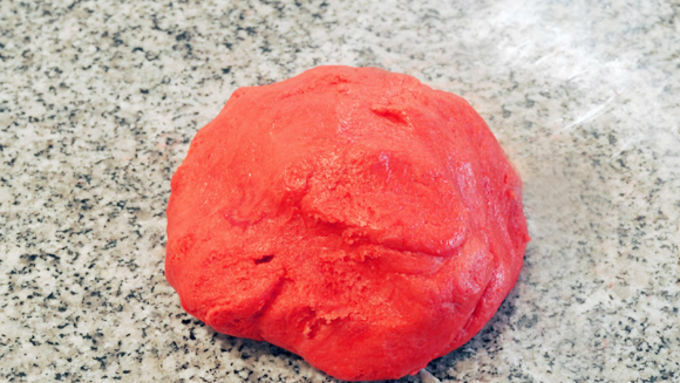 Open one package of cookie dough, add a bit of red gel food coloring to the dough. I found that it's easiest to mix the coloring in with your hands, kneading it gently, like bread dough. 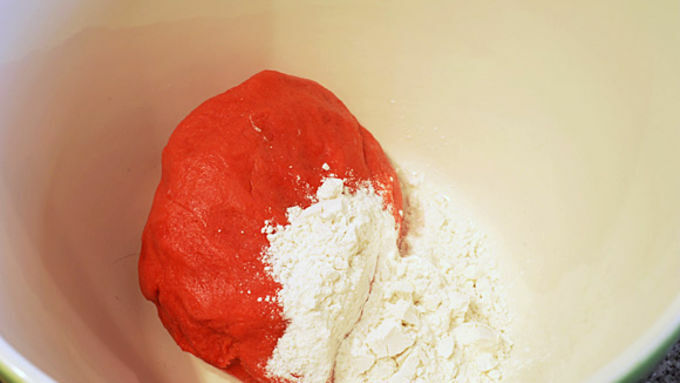 Add the food coloring a little at a time, until you have a vibrant red dough. Preheat oven to 350°F. Remove the dough from the pan and unwrap. Cut thin slices, approximately 1/4-inch wide. 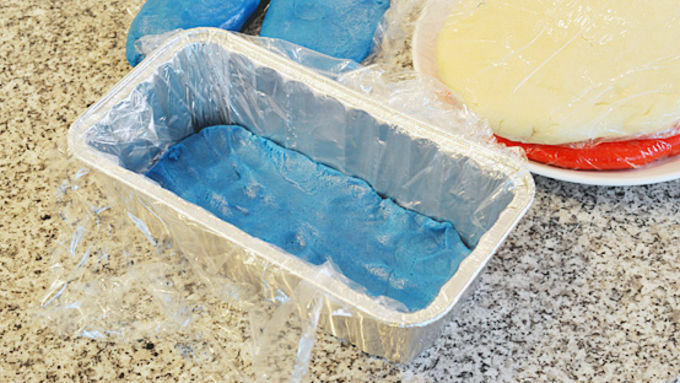 Place on a baking sheet lined with a Silpat or parchment paper. Bake at 350°F for 12 to 14 minutes. Immediately after the cookies are removed from the oven, use the star cookie cutter to cut the cookie shapes. You will need two side pieces, and one middle for each. Cut a round out of the center of 1/3 of the cookies. Try to work quickly, as the cookies set up very quickly and will be difficult to cut as they cool. Also, I used a tiny cookie cutter to make adorable little stars from the scraps. 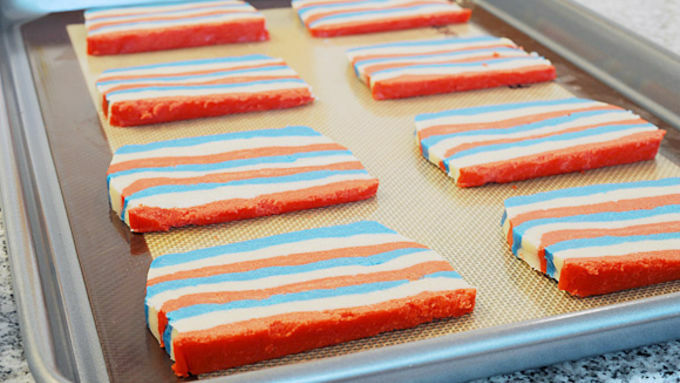 Once you've cut all the shapes, allow the cookies to cool completely on the baking sheet before moving. 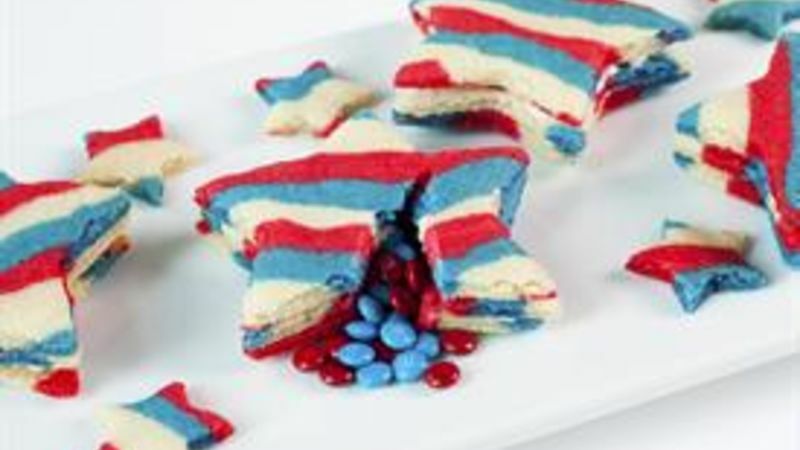 Here’s a crazy cool cookie idea that will bring out the “ooohs” and “aaahs” at your 4th of July bash! 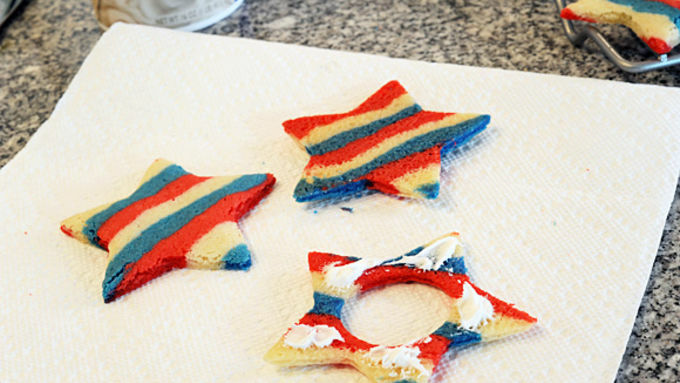 A cookie with a surprise in the middle is a great idea for any holiday, so why not patriotically colored stars for 4th of July? The method for Star Piñata Sugar Cookies is so easy, and even easier if you start with Pillsbury refrigerated Sugar Cookie dough (I used three 16.5 oz tubes). As I colored the dough a couple days ahead of time, color bleeding was a worry (there’s a fair amount of food coloring used!). So I just wrapped each color tightly in plastic wrap and refrigerated until I was ready to proceed. 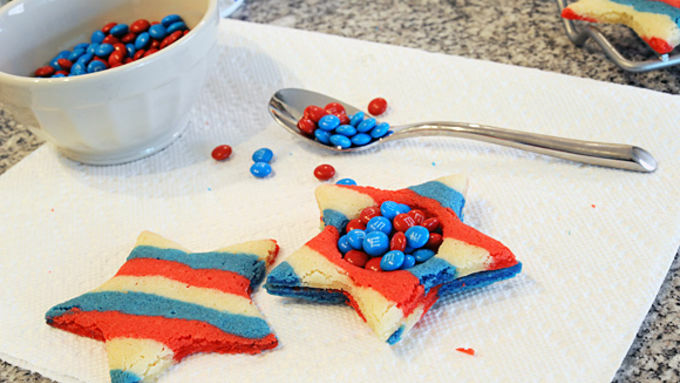 You'll have so much fun assembling these patriotic cookies and you'll definitely enjoy eating them as well. 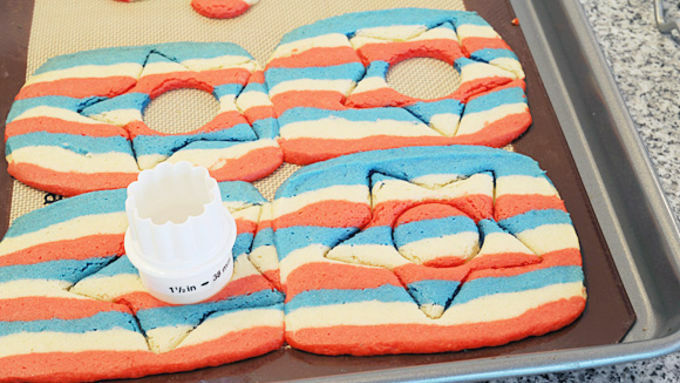 Hope these cute little cookies add some delicious fireworks to your celebration!